One might expect the NYS Department of Transportation to maintain New York State Bike Route 9, a.k.a. 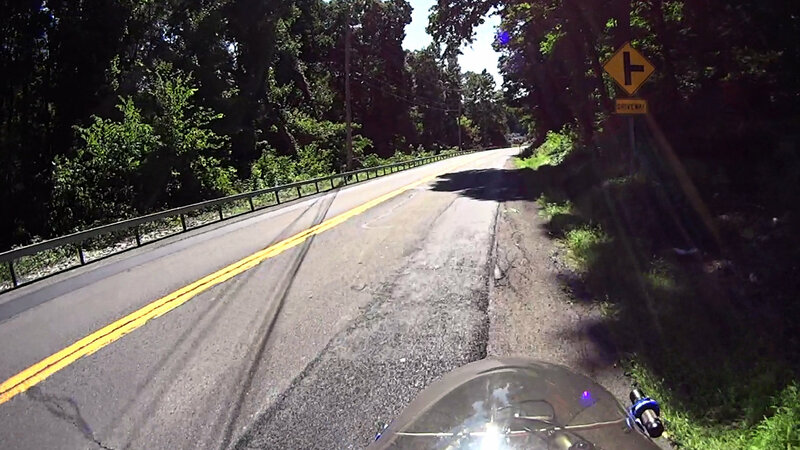 NYS Rt 376 from Poughkeepsie to Red Oaks Mill, in a bicycle-aware manner. The crew chief said they were there because “somebody wrote a letter” describing the conditions. I suppose that would be me, although after half a year it’s hard to establish causation, let alone correlation. He also says no details of the letter reached him, which explains why they laid the patches in the travel lane, rather than repairing the conditions I described. He was adamant they were doing the best they could with the inadequate manpower, materials, and time available for the projects. There are absolutely no requirements to consider bicyclist safety in their repairs, so laying asphalt over the shoulder never happens. 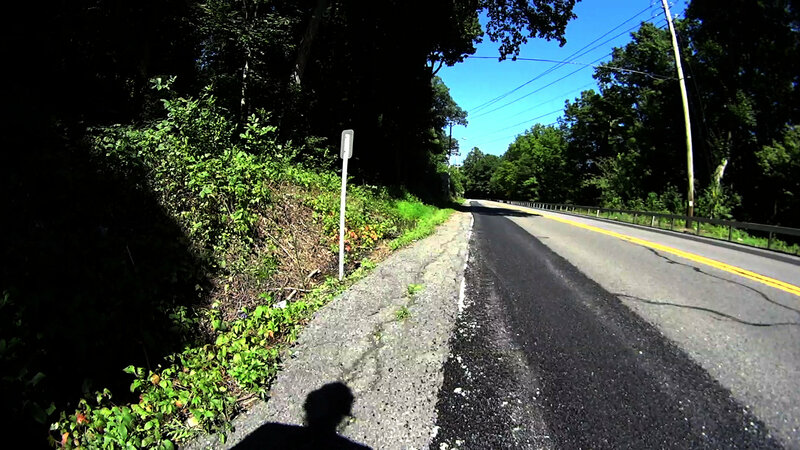 NYS DOT’s Bicycling FAQ says I should “take the lane” around that curve, due to the deteriorated shoulder, to ensure motorists pass only when it’s safe. 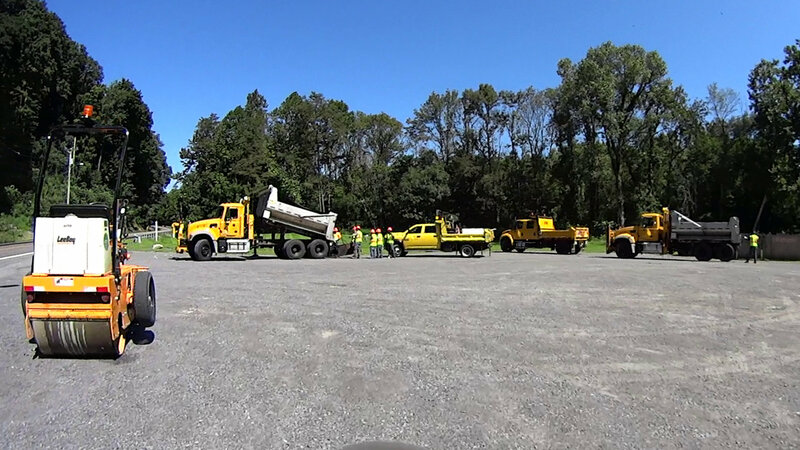 Whenever I offer to take a NYS DOT bureaucrat on an inspection ride along their roads, they never have the time. Of course, they don’t “work” on weekends, so they’re unwilling to join me on a pleasant ride around the area some Saturday or Sunday morning.